Doors of Dublin quiz, results and reflections. The standard of answers was also very high, everyone got at least 6 or 7 correct which is obviously 50% and therefore a clear ‘pass” Honourable mentions to Julie Collins and others for reaching a very high standard. A few of you did even better than that. Among the contestants who distinguished themselves, and tied im the bronze medal position with 9 points each, were (in no particular order) Tig Mays; Anna Rackard; Alan Sweetman; Emmeline Henderson; and – posting her answers from distant & exotic Bangladesh- Ms Alison Tobin. Huge congratulations to you all. Alison you were aching close to tying for silver, very close with two additional answers. Very well done to you. Just edging in front, by a nose, of the Bronze medalists with 10 points was friend, and fellow blogger, Shirley Chance, Shirley is the author of the wonderful blog “365 Days of Dublin”, a picture blog of Dublin street numbers, full of short but lovely asides, thoughts, notes and observations. Well done Shirley on second place. Superb performance. If you haven’t already seen Shirley’s blog, it’s well worth a look…. click here. But meanwhile, the winner is, (envelope please)… the clear & outright winner of the Doors of Dublin Quiz, with a remarkable 12 correct answers from 14… (drum roll…) was Mr Charles Duggan, Well done Charles, for an outstanding performance. 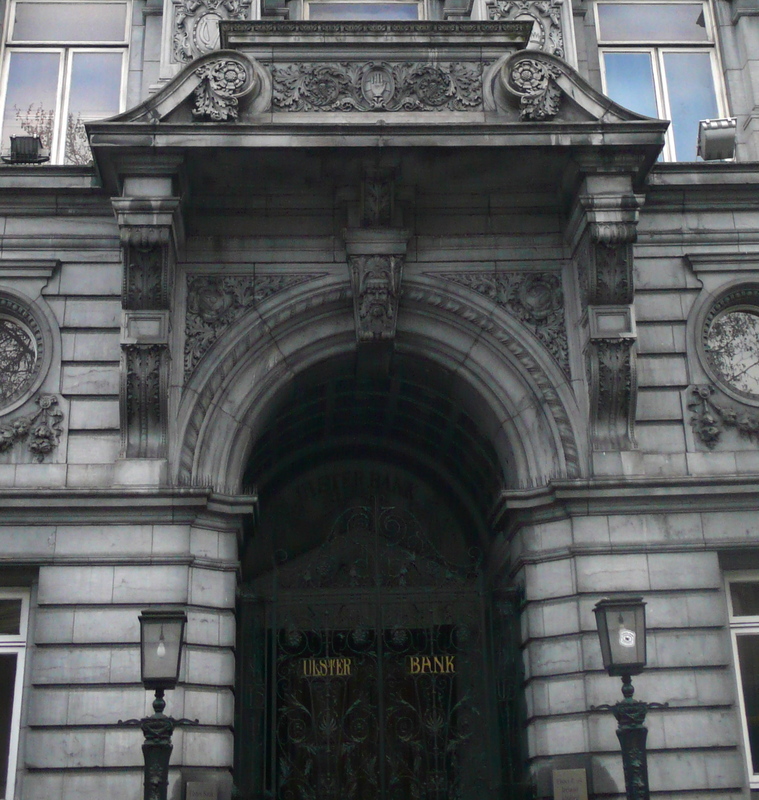 Incidentally, I was interested in which doors were more or less” gettable” The answers most people got right were, first, the Ulster Bank, (below) everyone got this right, well done. I am aware there was a small but clear visual clue which helped helped, but it was very small. It proves proved that observation and close attention are key skills, in these tight quiz situations! 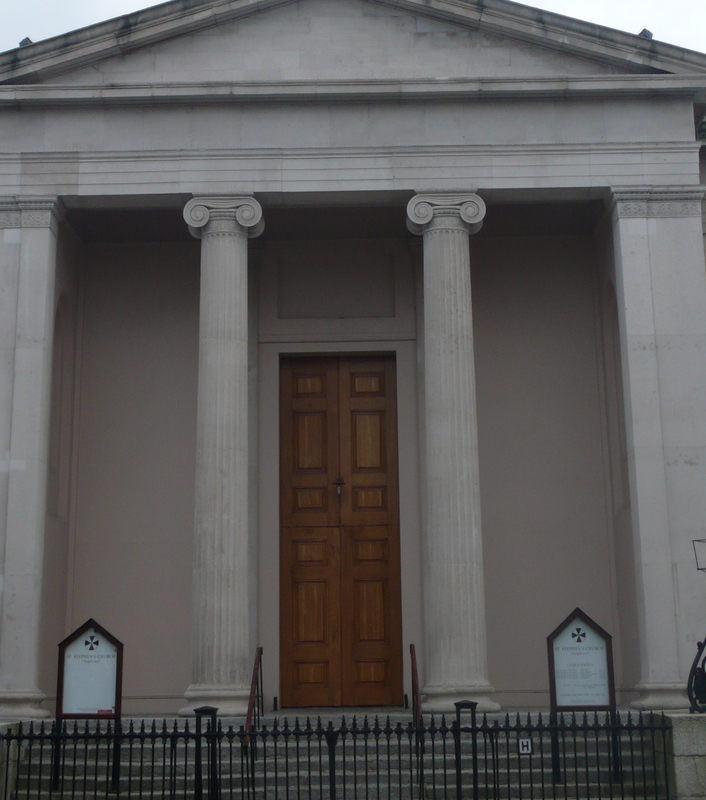 Everyone also got the Pepper Canister Church. My cheap ploy, framing out the famous & eponymous tower, availed me nought! Evey single one of you also got the splash of colors at the back of Dublin Castle. Nearly everyone (all but one) got Taylor’s Hall also, (below). A little bit like the Ulster Bank logo (hidden in the shadows of picture 1), the small blue An Taisce plaque seemed to be a key clue here. In fact, two determined souls saw the plaque on a second viewing & came back to amend their answers on this one. They did so before the deadline of course, so well within the rules. 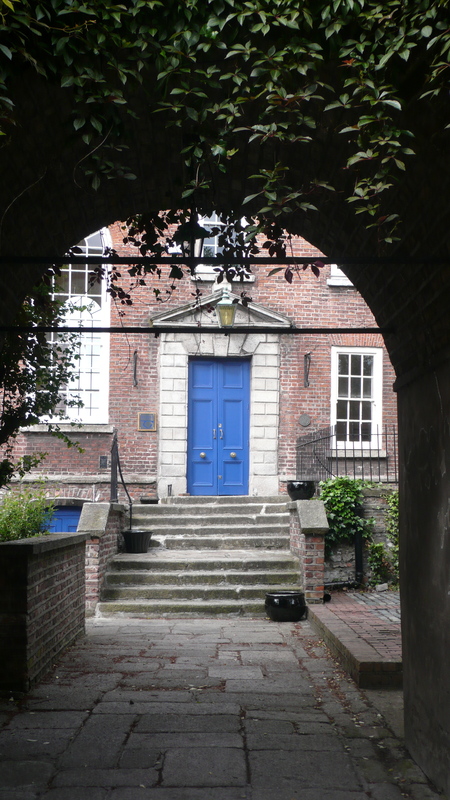 Nearly everyone got Saint Weybergh’s, another one of our very beautiful and ancient Dublin Churches, founded 1178. A far more difficult question seemed to Mercers Medical centre, which of course most of us pass on a fairly frequent basis. I thought for that reason many more would get it, but in fairness it’s not an especially distinguished building. Accordingly, only three people got that. 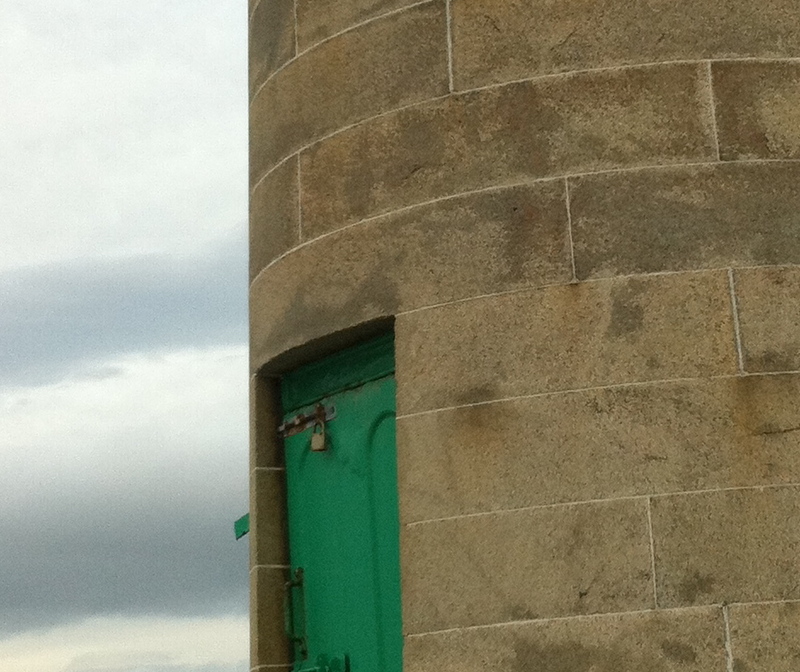 Other tough questions were the Lighthouse at the end of Dun Laoghaire’s West Pier, not everyone has seen it, (the East pier is more popular for walks) Also, understandably, (since it was just a close-up detail) several people thought it was a Martello tower. Again, just three people got this right as the lighthouse. 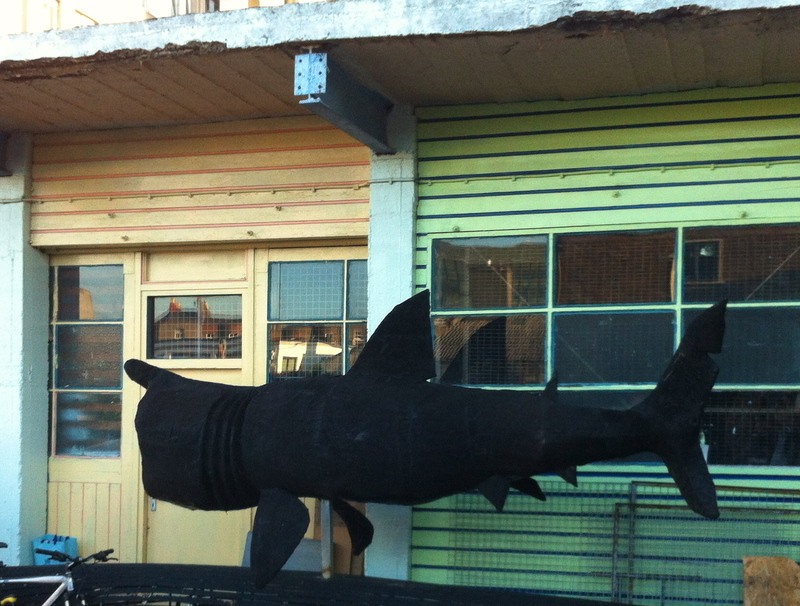 Obviously the Moxie Studios question -despite the distinctive Basking Shark- was virtually impossible unless you’ve visited the place. Apologies for that curve-ball then! 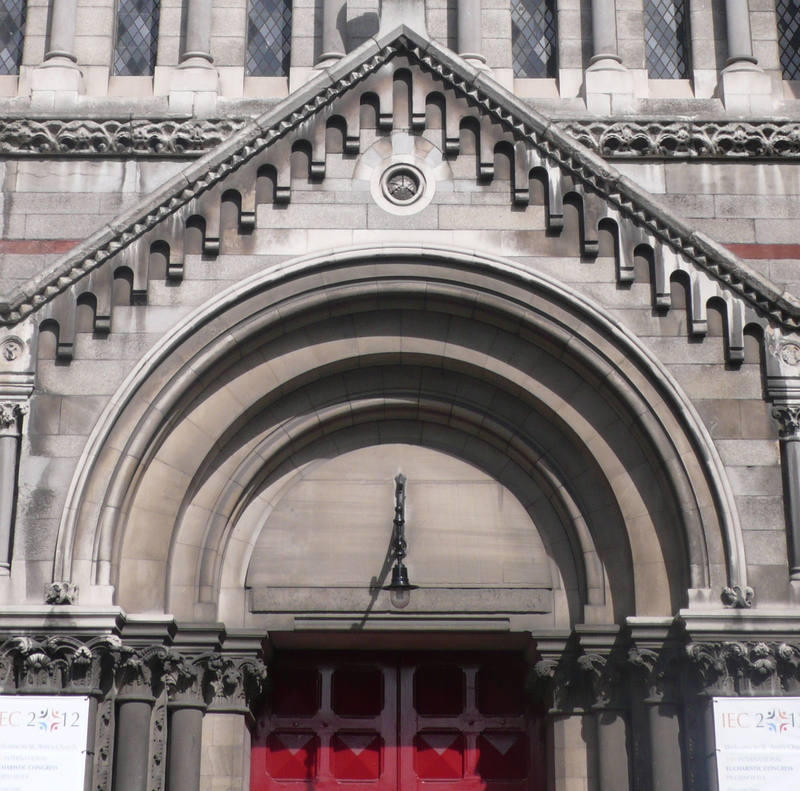 About half of you named the Royal Chapel of Dublin Castle as the answer for Q.11. Finally, the most interesting set of answers (for me) were Question 1 and Question 7…. 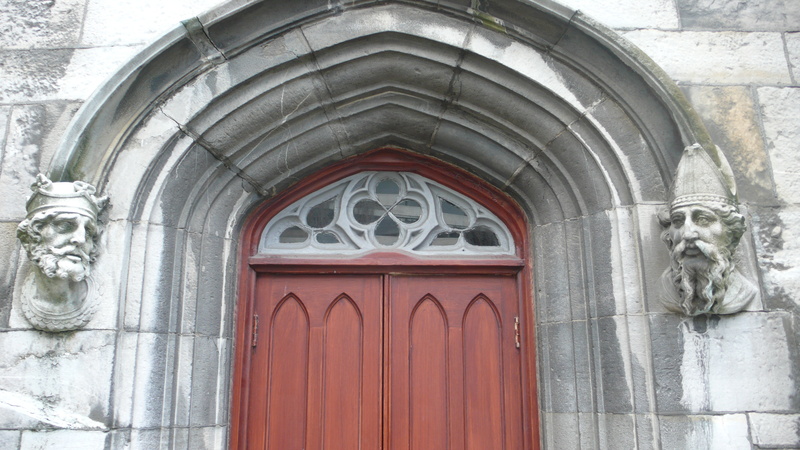 About half of you got correctly identified Picture number 1 (above) as the 19th century, RC Saint Audoen’s. Despite the presence of religious text in Latin just visible at the top of the picture, those massive, soaring neo-classical columns prompted a few others to rush & say the old Parliament Buildings on College Green. There is no way of knowing of course, but I secretly suspect that, had this question come later in the quiz, more people would have got it right. We shall never know. Again the guesses were interesting, to me at least. I believe this old building – Bedford Tower/Hal, at the gate to Dublin Castle- was once a guards-house. 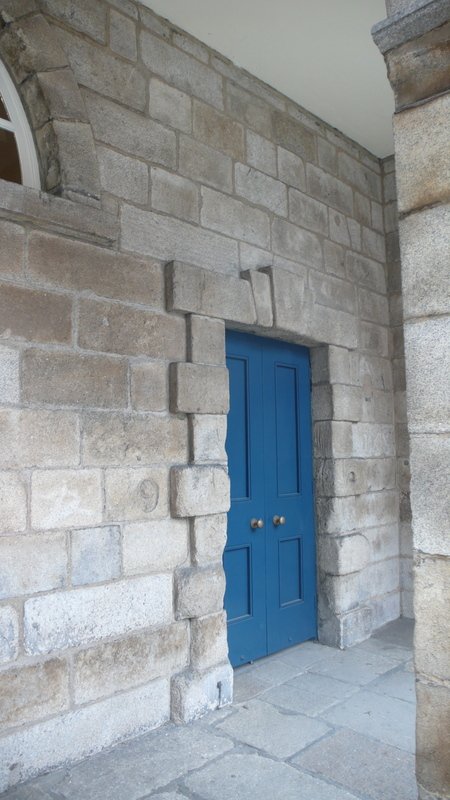 And interestingly 3 people – who didn’t recognize the door- still made very good guesses along exactly those lines; for example Tig Mays guessed Collins Barracks while Shirley Chance proposed IMMA/the Royal Kilmanham building, (originally an old Military Hospital of course). 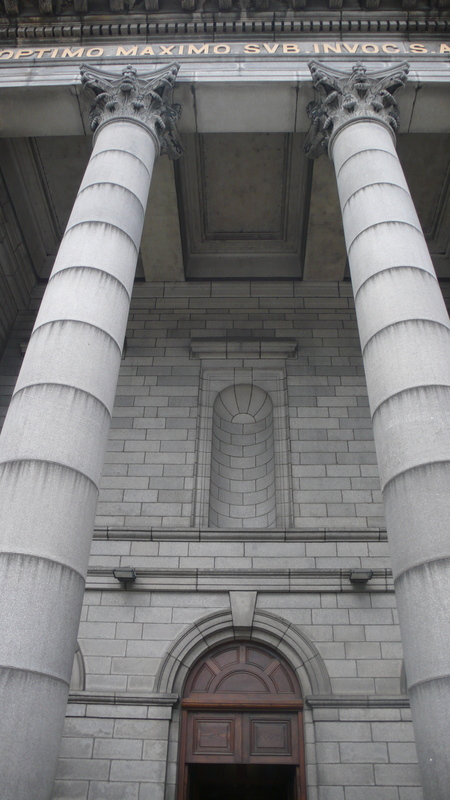 What that means in effect is that some clever people recognized this picture as 17th & early 18th century military architecture architecture, even though they didn’t even know the building. Just from a tiny detail like this picture above! So, take a bow Shirley, Tig & Alison. That’s it for now. I hope everyone enjoyed it. I plan another Dublin picture Quiz sometime in the next 10 days so please keep an eye out for that, and when you see it please help spread the word, via “Sharing” in Facebook or whatever. Thanks for taking part, and well done for all your excellent answers. Previous Post Answers to the Doors of Dublin Quiz. Next Post Four details… four pictures from Dublin and around Ireland.